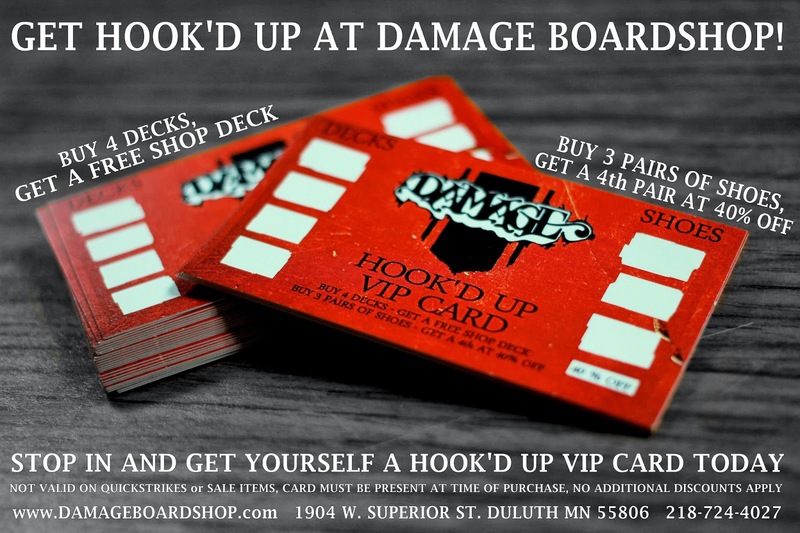 Damage Boardshop: DAMAGE DAYS IS THIS WEEKEND! 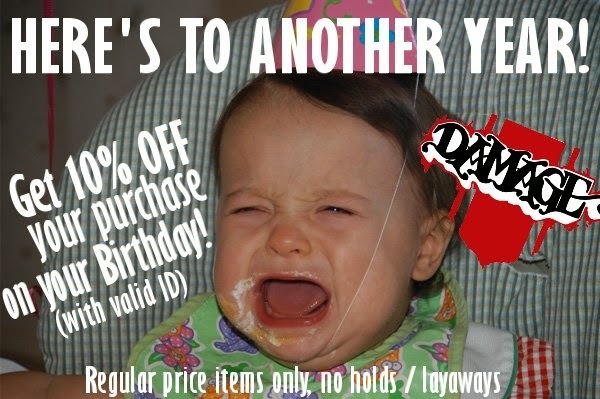 DAMAGE DAYS IS THIS WEEKEND! Damage Days is a two-day snowboarding event that takes place at Spirit Mountain on February 15th and 16th. Both evenings are FREE (with a lift ticket or season pass) and all ages and abilities are welcome. Come out Friday the 15th from 6 to 8 p.m. for "Pipe Night". We'll be sessioning a freshly cut custom half pipe with features placed throughout the deck. Head on back to Spirit Saturday for an after hours tow rope session. Spirit will close down the Lone Oak Tow Park at 8:00 p.m. to refresh the new tow rope set up and will open back up from 9:00 to 10:30 for a special snowboard only late night tow rope session. 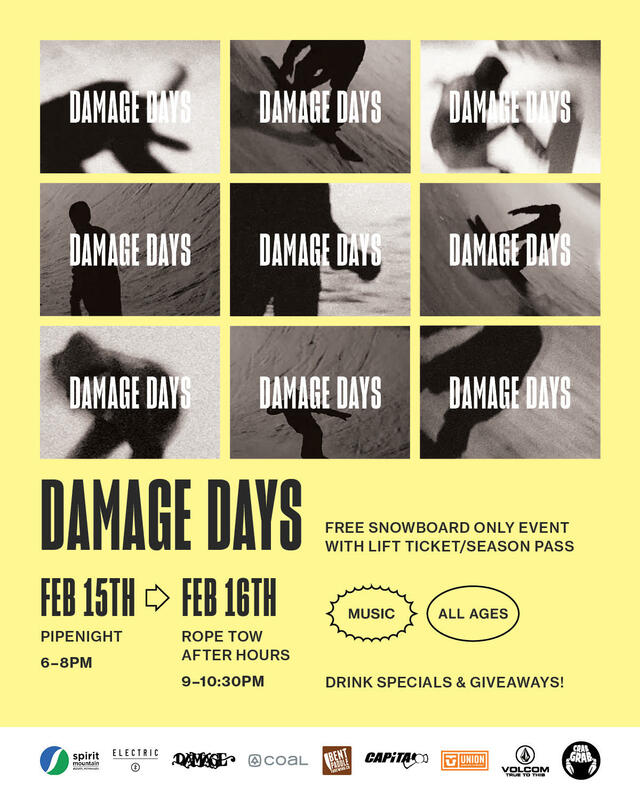 Come for the snowboarding stay for the drink specials, music, giveaways and good times with great people!